If flickering lights are an issue in your home, there could be a problematic power supply or a faulty connection. Call an electrician for safety’s sake. In horror films, flickering lights always play a big role in creeping everybody out—why else would anyone walk though that kind of scary atmosphere, right? 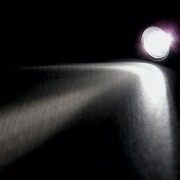 When it comes to your home, flickering lights might not frighten you but they'll likely annoy you to no end. Flickering lights are usually the result of a fluctuation in the current, which is caused by disturbances in the home’s electrical tension; these show up as distortions in the electrical waves in and around your home. It can be exacerbated by electrical storms or by the home’s electrical wiring. When you have flickering lights in your home, don’t wait around; call an electrician right away. He or she will be able to use a tool called a multimeter to figure out where the flickering lights are coming from and whether there’s a current problem or another underlying issue. Disturbances in electrical tension can damage your electronic devices and appliances. Here's some advice to help you protect your belongings in the event of flickering lights. 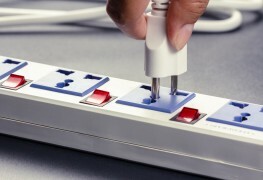 Unplug your electronic devices or ensure anything essential is connected through a surge-protector bar equipped to handle multiple devices, particularly during a prolonged absence or when an electrical storm is approaching. Take care not to plug devices into the same circuit as your refrigerator, dishwasher or any other appliance that has its own motor. 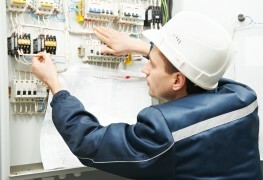 Leave your electrical work to a certified master electrician. 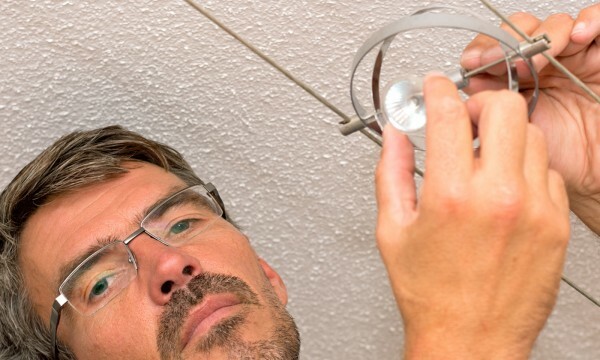 Have your wiring checked by a certified master electrician. 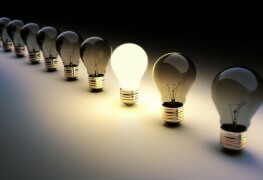 Changing a burnt-out light bulb is one thing, but doing in-depth electrical work in your home is a whole other matter. In the interest of saving themselves a few bucks, some homeowners refuse to hire a qualified electrician. They prefer to do the work themselves or call in a friend who has some experience in the renovation business. Calling that notion a mistake would be an understatement. While turning a light on and off is a simple thing, the electric wiring behind the light switch is slightly more complicated. Every qualified electrician will tell you the same thing: you must absolutely unplug the fixture you want to work on or cut the current by removing the fuse or switching off the circuit. Your best bet is to use tools with handles that don’t conduct electricity, and remember not to replace a burnt-out fuse with one that is too powerful. Your local electrician is the go-to resource for most of the electric problems you will encounter in your home, including flickering lights. 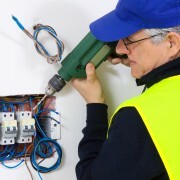 He or she can help you with any number of problems you may encounter and can rewire your home for any kind of device or appliance, whether it’s telephones, TVs, alarm systems or computer systems. Electricity professionals are up to date on most types of installations and the operation of electronic devices and appliances, much the way a family doctor is a general expert on most matters regarding your health. The field is always evolving, as are safety standards, so it’s important that you get in touch with your local electrician if you have a problem with flickering lights in your home. The peace of mind alone will be worth the cost of the consultation. *Doing your own electrical writing is not only dangerous but may even be illegal in some provinces, such as Québec. The solution: consider hiring a master electrician. 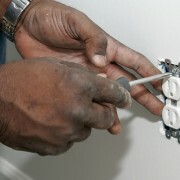 Do you need a kitchen electrician to help with your home renovations?